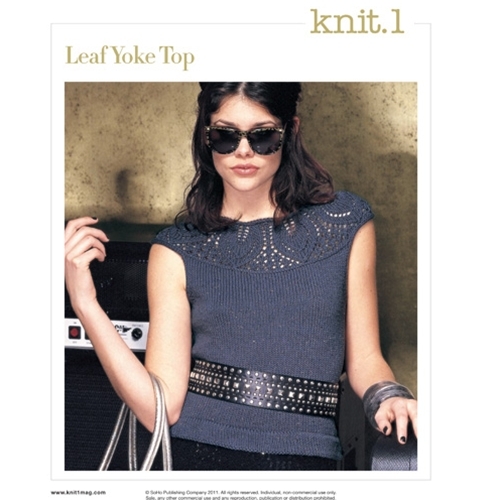 Worked in the round from the top down, this lacy top features I-cord edges and a knitted-in turned hem. • Sized for Small (Medium, Large, Large/X-Large). Shown in size Small. • 19 sts and 26 rows/rnds to 4"/10cm over St st (after blocking) using size 6 (4mm) needles.